Companies don’t hire resumes, they hire people. But your resume is often what gets you in the door, so if you can’t get the interview it’s nearly impossible to win someone over. You have very little time to impress the target audience with your resume. 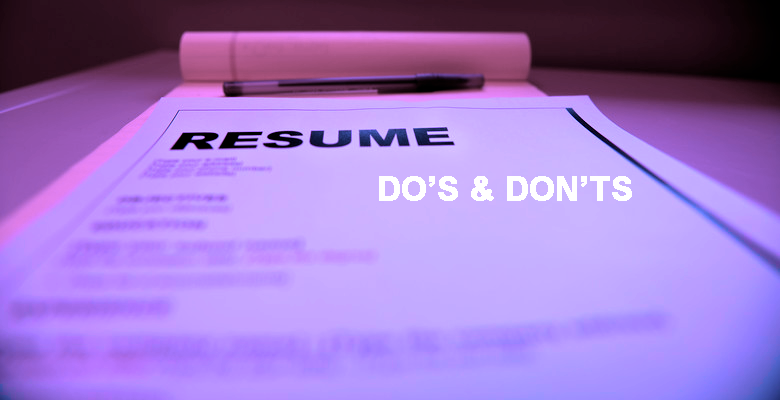 Your resume needs to be grammatically perfect. If it isn’t, employers will read between the lines and draw some not-so-flattering conclusions about you. Don’t rely on spell-check too much. Spell-check might be able to save you from spelling mistakes, but it cannot tell the difference when it comes to meaning. For instance, if you write “manger” instead of “manager.” spell-check won’t flag it. Recruiters and HR are only going to spend six seconds looking at your resume. The longer your resume is, the more difficult it will be for recruiters to scan it. An appropriate length is one to two pages, depending on how much experience you have. Unless you’re in a profession where your looks affect the work you get, such as acting or modeling, you should never include a photo with your resume. Including a photo greatly increases the chance you’ll be discriminated against, and the recruiter will spend too much time looking at your picture instead of considering whether your skills fit the open position. Instead of sending a headshot along with your resume, you should send a link to your professional online profiles, such as LinkedIn. Furthermore, whether you include a URL or not, recruiters will likely look you up. In fact, 86% of recruiters admit to reviewing candidates’ online profiles, so why not include your URL along with your contact information? This will prevent recruiters from having to guess or mistaking you for someone else. Also, make sure your resume and online profiles are telling the same story. The fact that you are an avid baseball player, or that you collect old coins, has no relevance to whether or not you are qualified for the position. This information should never be on your resume. One of the most common (and costly) goofs we see is an incorrect, or inappropriate email address. Double-check your email address to make sure it’s correct. Don’t use your work email address on your resume. Also, avoid goofy or cutesy email’s, such as “catlovers@email.com.” Remember, you can set up an email address that you use just for job search. Are there any other common mistakes you see on resumes? Tell us in the comments.